Today kicks off Emerald City Comicon (4/7 – 4/10)! Will you be there? If so, be sure to find myself and other authors at the WordFire Press booth: Booth BB7, Artist Alley Level 4. I’m especially excited for this convention because it’s when we’re doing a special kickoff for The Cleaners #2: The Maids of Wrath. If you’re there, you can get a personalized, signed copy ahead of the official launch on Amazon. The audiobook is also undergoing final approvals and should be launching right around the same time. Want the ebook version even earlier? Here’s an excellent opportunity. 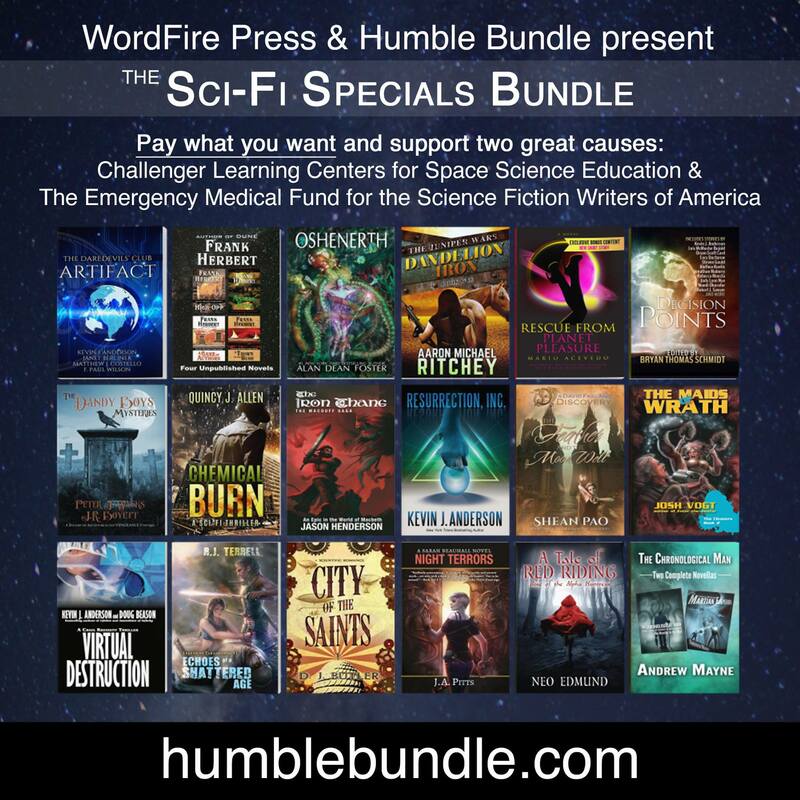 There’s a scifi/fantasy Humble Books Bundle going on for just the next two weeks, and The Maids of Wrath is a bonus unlock novel you can get if you pay $15 or more. That gets you nearly 20 books, some of which aren’t even officially released yet (like mine), plus a portion of the proceeds go to some worthwhile charities. Previous Post There’s an Enter the Janitor giveaway running on Goodreads! Next Post The Maids of Wrath launches today — & Enter the Janitor is only $.99!